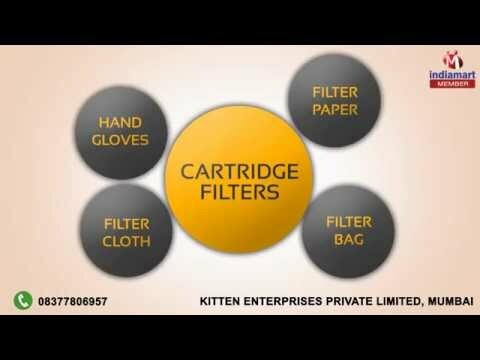 Welcome to Kitten Enterprises Private Limited, established in the year 1995, we an ISO 9001: 2008 certified company, We forayed into the business of Marketing Filtration, Clean Room and Medical Packaging Products as a small marketing firm; but, with our potential and targeted approach we initiated our journey to success & put stepped onto our goal to attain great heights. Our domain expertise and ability to render world-class quality products coupled with reliable and efficient customer services are responsible for our step-by-step growth and provide a cutting-edge in this market arena. We ensure that our clients are fully satisfied with our services, as we leave no stone unturned in catering personalized solutions & tight delivery deadlines to our valued customers. Playing with a belief to establish our customers satisfied, we have attained immense fame across the country as well in overseas marketplaces. Thus, the specified extended range is being exported to clients in the market of Dubai, Bhutan, UAE and African Country and import from Europe.